President Donald Trump criticized both the media and President Barack Obama during his rally in West Virginia on Friday afternoon. The rally he was referencing was the one he held in Houston, Texas on behalf of Senator Ted Cruz, among other Texas Republican candidates. 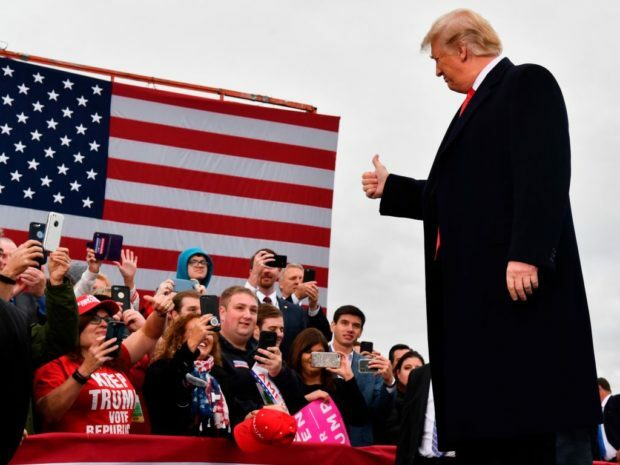 The Trump campaign revamped the rally from simply an evening event to an all-day tailgate after approximately 100,000 people RSVP’ed to the event. Obama also held a rally on Friday, which Trump referenced, but his was in Florida on behalf of Democratic candidates Bill Nelson and Andrew Gillum. Their rally was in the Hertz Arena which has a capacity of approximately 8,000, according to their website. “But I heard President Obama speak today. I had to listen I was in the plane and I had nothing else to do. And I heard him talk about telling the truth. He was talking about, ‘You have to tell the truth’ and yet 28 times he said you can keep your doctor, if you like your doctor. You can keep your plan, if you like your plan. They’re all lies, over and over again you heard that,” Trump added. Trump’s rally was on behalf of Republican challenger Patrick Morrisey.